This photo shows the LW- antenna (362 m) including the guys. The computer model of the antenna can be seen below. The three cage ropes which are fed and connected to the uppermost guys are nearly invisible on this photo. Many thanks to Jan Inge for this great photo! This antenna is a flare skirt antenna. 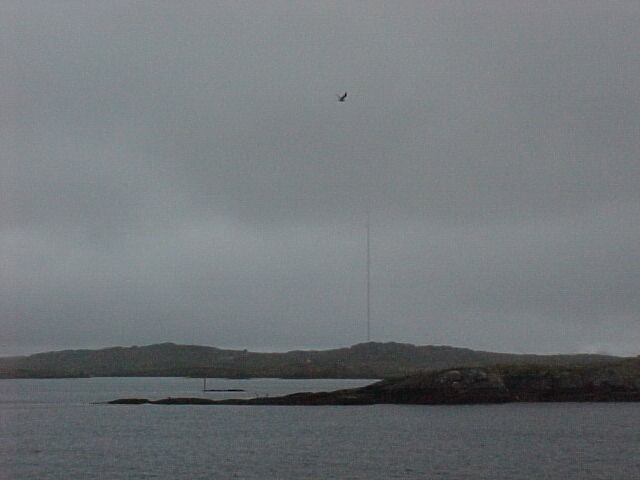 The mast is grounded and the feeding takes place via a cage consisting of three ropes. 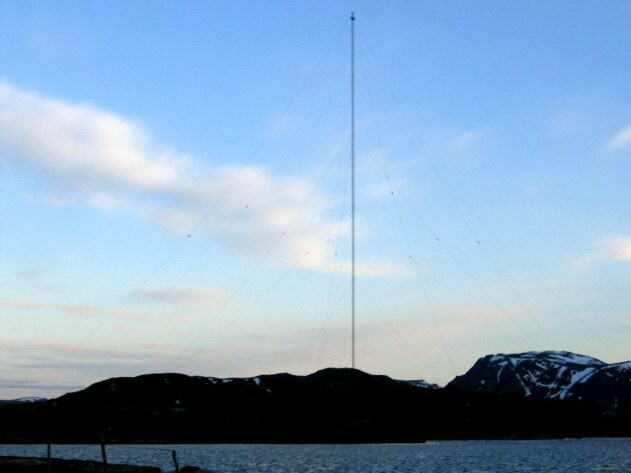 The antenna acts like a folded monopole consisting of the mast and the cage of three wires. For this type of antenna it is distinctive that the upper part of the uppermost guys form part of the cage. This makes it necessary to rotate the uppermost guy level by 60 degree to the other guys to avoid a contact between the ascending cage ropes and the lower guys. It is notable that all parts of the antenna are statically grounded. The number and position of insulators were chosen in order to ensure that all parts of the antenna were connected directly to ground. Similiar antenna designs can be found in Donebach, Aholming (both in Germany) and Bechar (Algeria). A photo taken in 2000. The antenna disappears in dark clouds. During summer there is no sunset, during winter no daylight. map of Norway showing "my" three radio stations Kvitsoy, Vigra and Ingoy. Ingøy is located at 71°06'N, 23°50'E. It is almost as far north as North Cape, which is 65 km to the east of Ingøy. The closest big town is Hammerfest, an architectonically modern habour town. It is a shame for us Germans, that the town is modern because the German army (Wehrmacht) applied the tactic of "burnt soil" before its retreat. Ingøy was an important trading port in the 16th century and is home to the world's northernmost manned lighthouse, Fruholmen Fyr. This is also an important meteorological station. It holds the Norwegian record with 257 days in a year with gale force winds or stronger. With the end of commercial whaling,- remaining left buildings can be still visited -, Ingoy lost most of its importance. 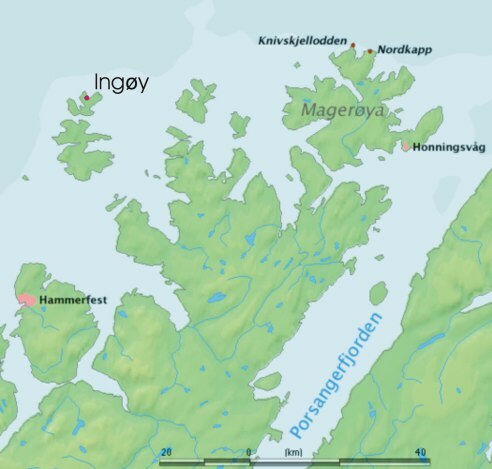 Ingøy is part of Måsøy Kommune (Community of Måsøy). The total population of Ingøy is only 40-50 persons. 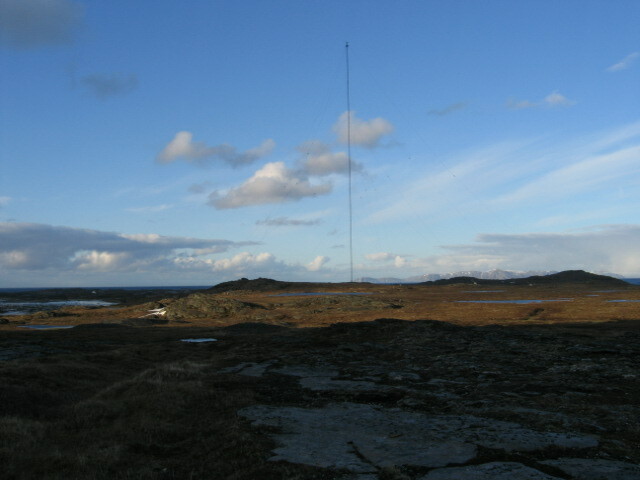 Up to WW II, Ingøy had its own coastal radio station, Ingøy Radio, located not far from the current LW-site. 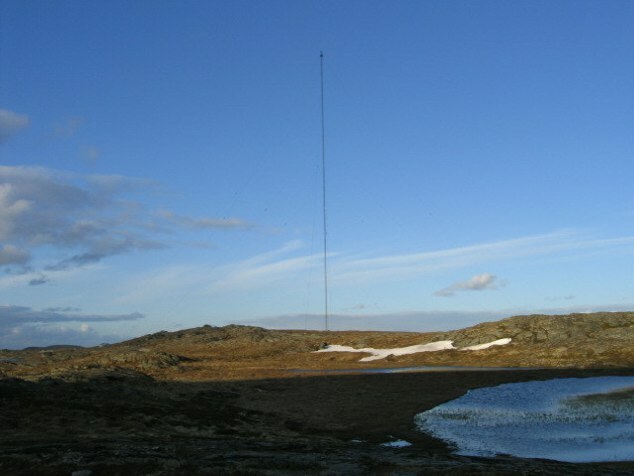 Ingøy Radio was destroyed during the war and not repaired.